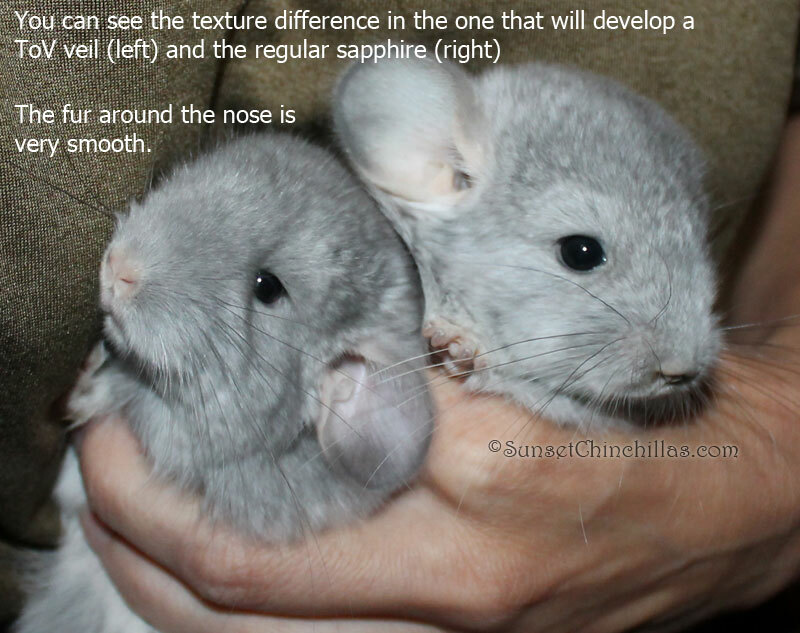 With time and seeing a lot of chinchillas you should eventually be able to spot wether or not a chinchilla has the velvet gene. I get a lot of questions on how to tell if a white is also a Velvet, and my answer is usually the texture of the fur and how the patterns develop. Sometimes a chin will be almost pure white, the only way to tell without breeding is to know your lines and the texture of the fur. 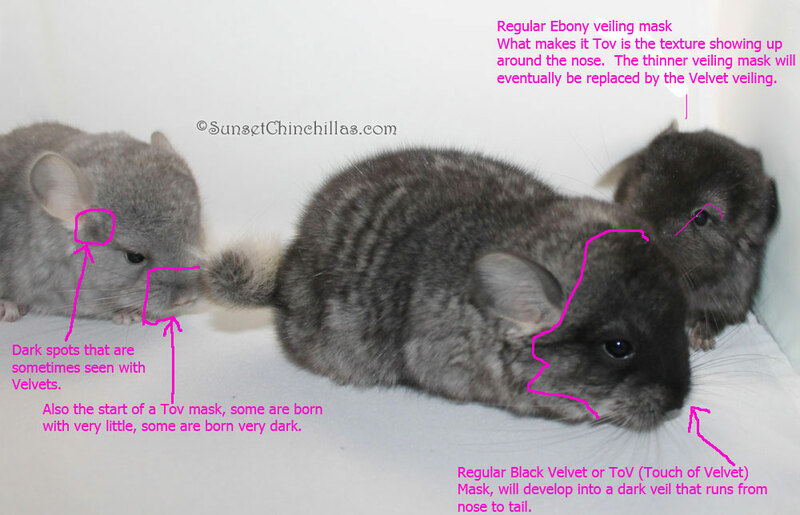 Tov on a white will create a much stronger fur that stands straight up and has a lot of loft. I had three babies born with minimal veiling to show you what to look for in regards to texture. 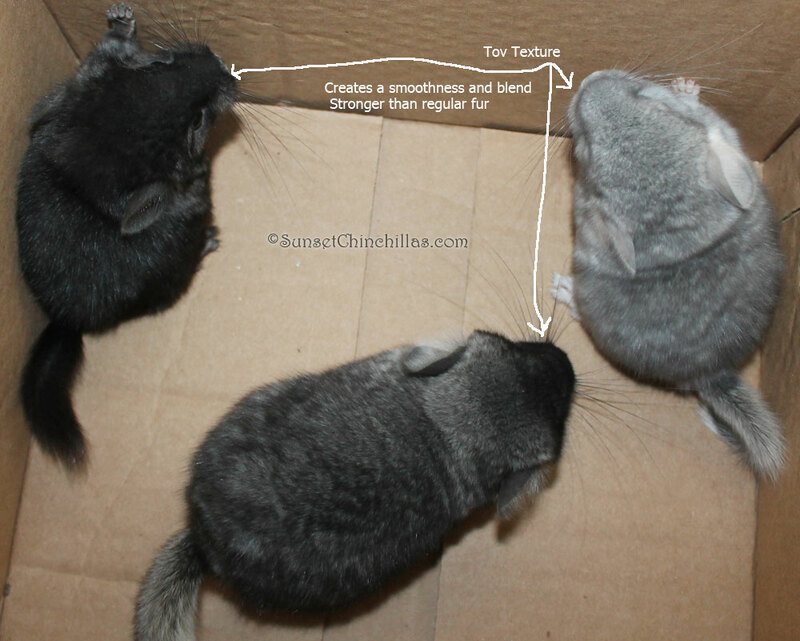 These are unmodified photos, if anything modifying the color and hue on photos detracts from my ability to tell you what color the chinchilla is. 2017 - Sapphire babies with and without ToV (Touch of Velvet) or the Black Velvet gene. In Europe they call sapphires with ToV Royal Sapphire. 2017 - Extra Dark Ebony babies with and without ToV (Touch of Velvet) or the Black Velvet gene. 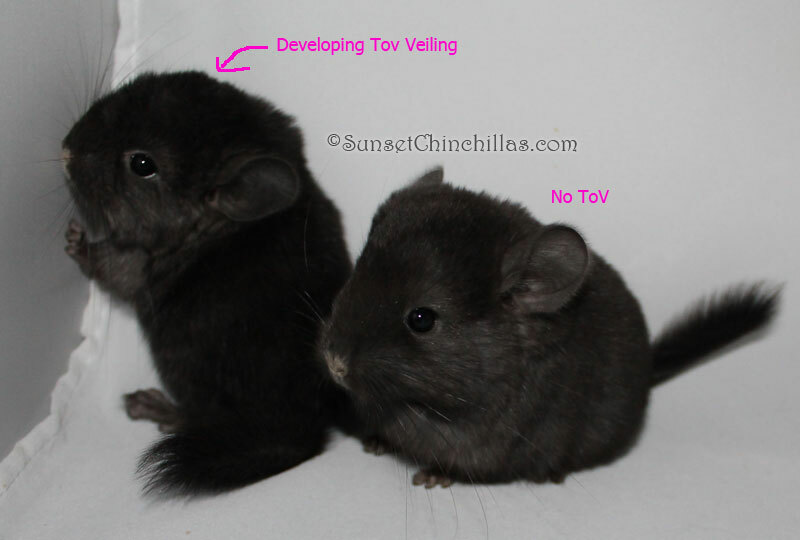 2017 - All three ToV babies on a white background with a flash. 2017 - All three ToV babies on a cardboard background, true to color from the top down so you can see the texture on the tipping of the fur.